1l. 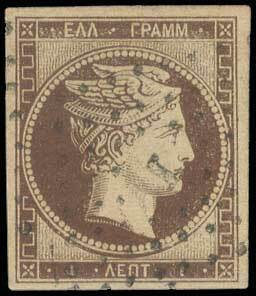 brown, very nice appearance with large/even margins all around but possible trace of thin, used. (Hellas 1a).